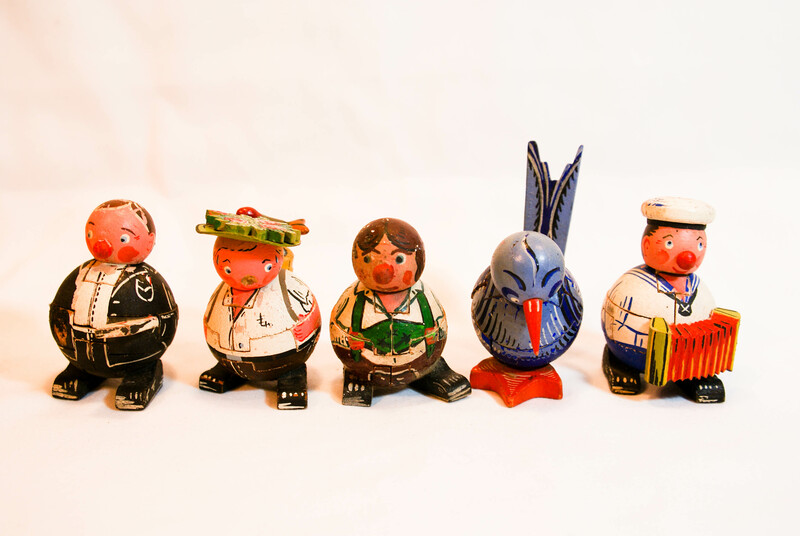 Vintage wood puzzle toys made in Germany 1940’s . The first jigsaw puzzle was produced around 1760 by John Spilsbury, a London engraver and mapmaker. Spilsbury mounted one of his maps on a sheet of hardwood and cut around the border. The Golden Age of jigsaw puzzles came in the 1920s and 1940s with companies producing a wide range of puzzles reflecting both the desire for sentimental scenes. These are very rare hard to find! This entry was posted in Toys and tagged estate sales, la mesa, puzzles, wood. Bookmark the permalink.